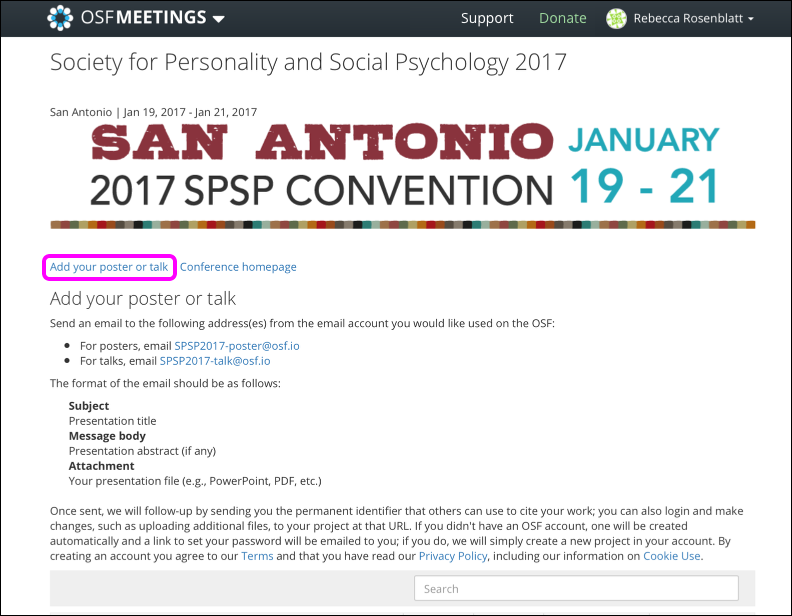 This help guide walks you through how to submit your research to a meeting or conference on OSF. Attendees can email their talks/posters to the email addresses provided on the meeting site, and a public OSF project will be automatically created with their talk or poster, and shared on the site. 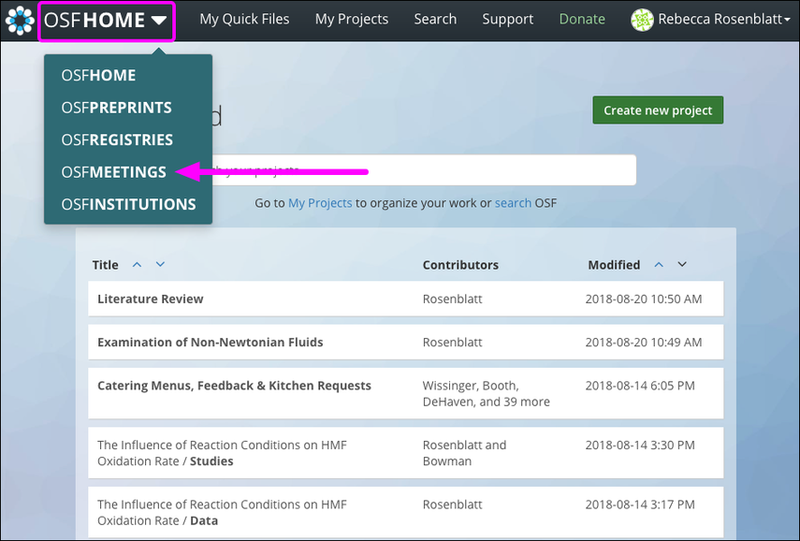 First, click the OSF Home tab in the navigation bar, and then click OSF Meetings from the drop-down menu. The OSF Meetings landing page will appear. Scroll down the landing page until you see a list of meetings. Only meetings with at least five submissions will be displayed in this list. 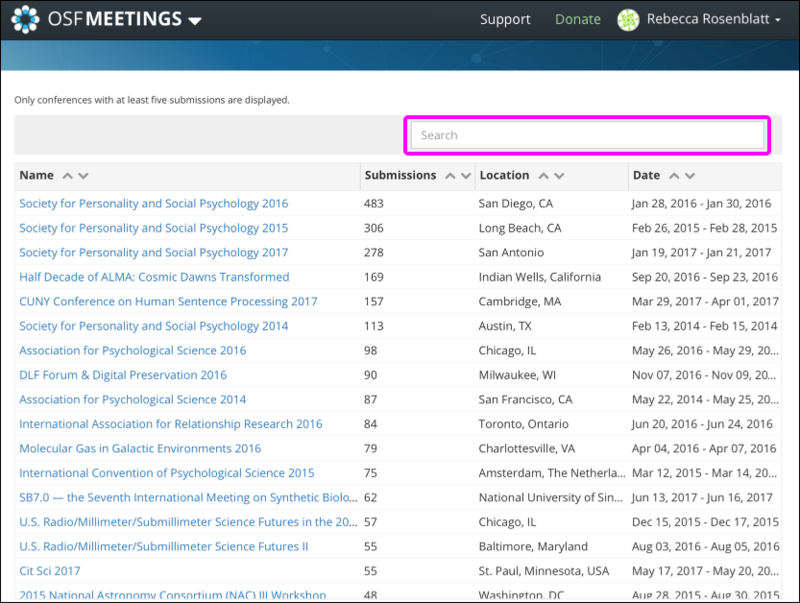 You can type the name of the meeting/conference into the search box to filter the list. Click the name of a meeting from the list of results to navigate to its meeting site. The meeting site will appear. There is no review process when you submit to an OSF for Meeting site. 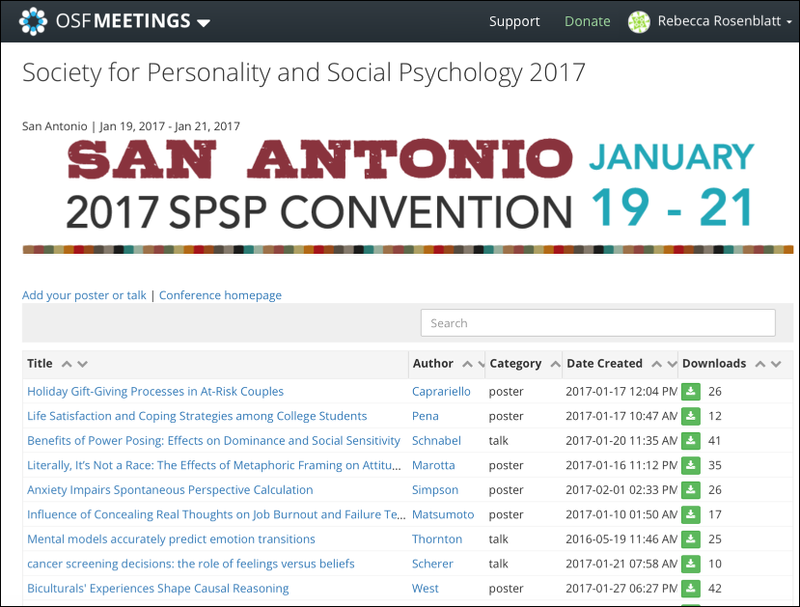 If the meeting is still accepting submissions, there will be an "Add your poster or talk" link in the top left of the page. Click Add your poster or talk, and a list of instructions on how to submit to the meeting will unfold. 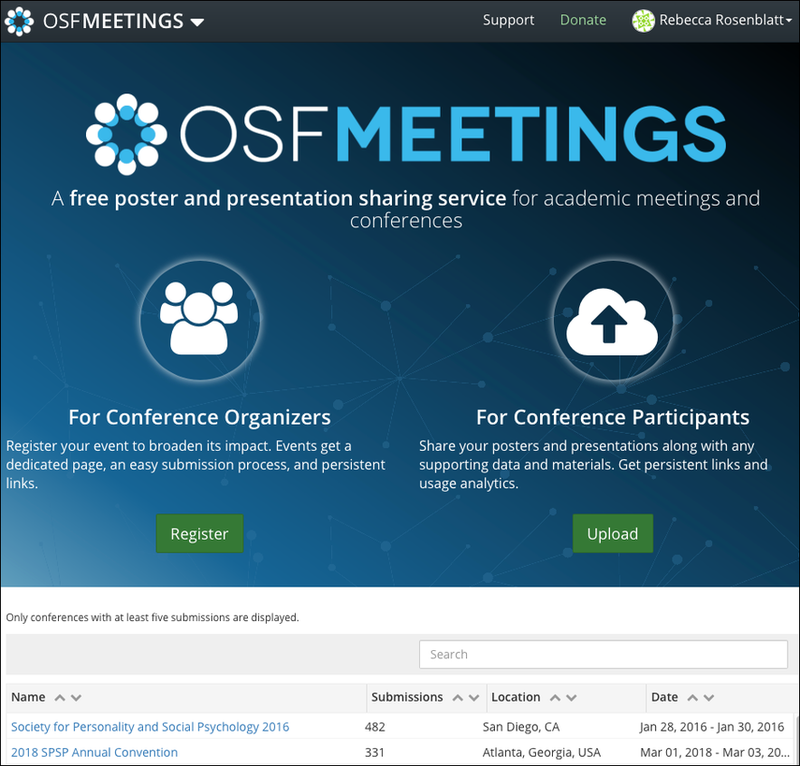 When you email your presentation, a public OSF project will be automatically created for your talk or poster and shared in the list of submissions on the conference site.